Nike Classic Cortez in "Desert Sand"
(SPOT.ph) Sneakerheads, Forrest Gump's popular running sneaker is now prettier than ever! The newest iteration of the Nike Classic Cortez is at the top of our wish lists. 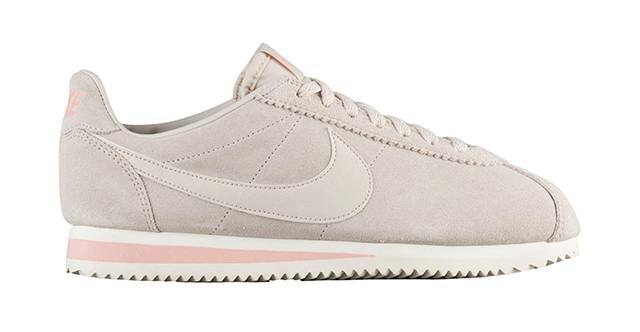 Say hello to the Nike Classic Cortez "Desert Sand." The classic runner gets a minimalist update, featuring a gray and pink colorway that's so irresistible. It also has a leather Swoosh as well as an EVA midsole with a gorgeous dash of pink in the middle. You'll want to wear this pair all day, every day! The Nike Classic Cortez in "Desert Sand" is available for U.S. $90 (roughly P4,680) online. We're hoping for a local release because we need this pair in our collection!